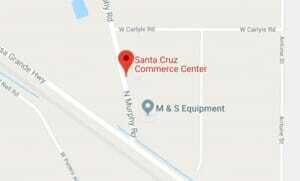 If you locate your business at Santa Cruz Commerce Center and unless your business is owned by an enrolled member of the Ak‑Chin Indian Community, you and your workforce will be living off-Reservation. Luckily, there are some excellent options nearby. Data collected in the 2016 Labor Market Study for the Ak‑Chin Indian Community shows that existing employers in the Ak‑Chin Indian Community and the City of Maricopa draw their workforce primarily from Chandler, Mesa, Gilbert and Tempe in Maricopa County, and from Casa Grande and the City of Maricopa in Pinal County. Since each city offers different features that may appeal to workers of diverse ages and interests, we have gathered data separately, so you can compare communities side-by-side. 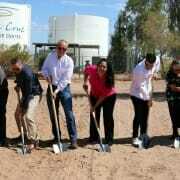 City of Maricopa: The most affordable housing by a significant margin based on local prices and income levels. 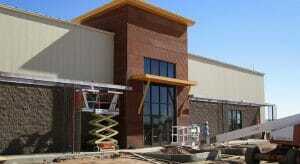 Casa Grande: The retail center for Western Pinal County. Tempe: The most demographically, culturally and racially diverse community. Chandler: The highest secondary education graduation rates. Gilbert: The lowest overall crime rates at less than half the metro area average. Mesa: A high concentration of public and private postsecondary education institutions. The following data was collected in August 2016 by Applied Economics for the Ak-Chin Industrial Park Board. If you would like to download a copy of the original report, click here for the full PDF. The size and age structure of a community is important because it usually influences a variety of other factors such as housing, amenities, etc., that appeal to a certain demographic. 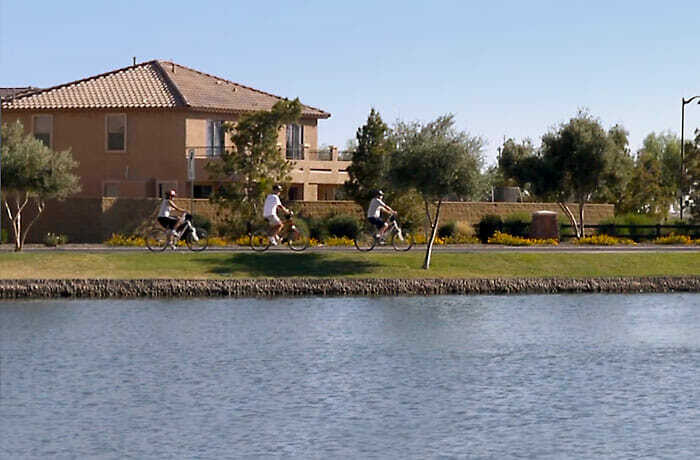 Mesa is the largest among the surrounding communities with over 460,000 residents. Although a city of this size usually contains a well-rounded mix of younger and older residents, both Mesa and Casa Grande have higher median ages and a significantly larger share of residents over 64. Gilbert, Chandler and Maricopa are family-oriented communities with the highest share of children under 18 and adults in the 35 to 54 (parent) age cohorts, although Gilbert has a slightly younger median age. Tempe is the youngest community, dominated by the presence of ASU students, with a median age of 28 and over 44 percent of its population in the 18 to 34 year age range. Source: Arizona Department of Administration, Employment and Population Statistics, July 1, 2015 Population Estimates; Census Bureau American Community Survey 2014-5 Year Data. Diversity is an appealing factor, particularly for younger workers seeking a more urban environment. Tempe is the most racially diverse community in general, largely due to the university, although Casa Grande has a significantly larger Hispanic population than the other communities. Family and household structure is a strong indicator of the social makeup of a community and the potential fit for different types of workers. Families are defined as related individuals living together, whereas non-family households include singles living alone or multiple un-related individuals living together. Gilbert and Maricopa have the highest share of married couple households and the highest share of married households with children. Over 60 percent of all households in Gilbert and Maricopa are married, whereas about half of households in Casa Grande and Mesa are married households. Casa Grande, Tempe and Mesa have a slightly higher share of single parent households at 18 to 20 percent; whereas Casa Grande and Chandler have a higher share of single person households at about one quarter of total households. Mesa also has an above average share of single-person households, many of them retirees. Tempe has a different household structure all together with over half of households made up of singles or un-related individuals, and only 11 percent of households married with children. Source: Census Bureau American Community Survey 2014-5 Year Data. Housing is another important consideration for employees in terms of both prices and type of housing available in the community. Maricopa has the highest share of homeowners versus renters at 78 percent, and the highest share of single family housing at 97 percent. Gilbert is also more predominately single family housing at 86 percent of total inventory, and about 71 percent of households are homeowners rather than renters. Mesa, Chandler and Casa Grande offer a mix of single and multi-family housing, with about 30 to 40 percent of residents renting. Tempe is significantly different than the other communities with an almost equal inventory of single and multi-family housing and about 57 percent of all households renting their home. Population churn is an interesting measure of the stability and character of a community. Although the recession reduced mobility rates nationwide, the improved economy has allowed people to buy new homes or relocate for employment and other reasons. Healthy growing communities tend to have a larger influx of in-migrants. The share of newcomers shown in Figure 4 is the percent of households that lived in a different house last year. Tempe has a higher level of population churn due to the university and the higher share of renters, with about a third of the population living in a different home than in the previous year. The rest of the communities are all relatively similar, with about 18 to 20 percent of residents having moved in the last year. Maricopa falls slightly below that with 16 percent newcomers. Housing prices are significantly lower in Maricopa and Casa Grande and highest in Chandler and Gilbert. The Housing Affordability Index measures whether or not a typical household in each community earns enough income to qualify for a mortgage loan on an average priced home. An index of less than 100 indicates that the typical household cannot afford an average priced home in that community. An index of more than 100 indicates that a household earning the median income has more than enough to qualify for a mortgage on an average-priced home. All of the communities except Tempe offer housing that is affordable based on average income levels. Maricopa has the most affordable housing by a significant margin based on local prices and income levels. Casa Grande, Chandler and Gilbert offer housing that is affordable for the types of households in those communities, while Mesa is slightly less affordable due to lower average household incomes. Source: Census Bureau American Community Survey 2014-5 Year Data; Homesnap Real Estate Statistics, August 2016; Swee Ng (realtor), Phoenix East Valley Housing Market Trends Report, June 2016. *Based on ratio of qualifying income for average priced home with a 20% down payment and 4.25% interest rate versus average household income. Education quality is another important factor for workers with children. Most Arizona communities offer a variety of district, charter and private school options. Access to high quality local schools is essential to attracting and retaining a quality work force. Figure 5 includes class sizes, graduation rates, share of students enrolling in higher education and ranked schools. Average class sizes tend to be lower in Gilbert Schools at only 16, versus 18 to 20 in most other locations, which is comparable to the state average. Tempe Union and Maricopa Unified have larger average class sizes at about 22 students. Graduation rates are highest in the Chandler, Higley and Gilbert districts, at 89 to 93 percent, and well above the state average of 76 percent. These districts also have a higher share of students enrolling in post-secondary education within 16 months of graduation, although none of the districts in the region are significantly below average in this measure. Source: AZ Office of the Auditor General, “Arizona School District Spending – Fiscal Year 2015”; AZ Department of Education, “High School Graduates College Enrollment, State Fiscal Stabilization Fund Postsecondary Indicator ( c ) ( 11 )”, 2010-2011; US News and World Report, “2016 Best High Schools Rankings”. * Denotes non-district charter school. A sense of physical security affects both residents and businesses. All of the communities, except for Tempe and Casa Grande, are below the metro area average in terms of crime rates. Maricopa and Gilbert have the lowest overall crime rates at less than half the metro area average. Chandler is also well below average, while Mesa is about the same as the metro area property average, but with a significantly higher rate of violent crime. Source: FBI 2014 Uniform Crime Report; Arizona Department of Public Safety, Crime in Arizona 2015. The communities within the Santa Cruz Commerce Center primary laborshed offer a variety of recreational and cultural amenities, many of which attract visitors as well as residents. These include museums and historical sites, performance venues, recreational facilities and attractions, and a variety of annual events. Source: Various community websites, 2016.